The strict guidelines of 'One Window' allows me to only to use one frame. This restriction made me curious to find a technique to create a series of prints of which every print is unique, but still only use one frame. 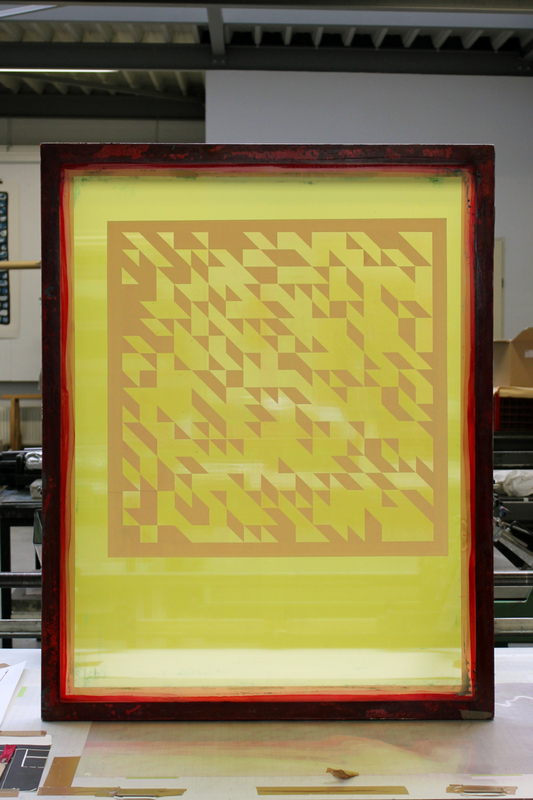 To achieve this I tried to perceive the screen printing process as a sort of computer program: a formula with variables, an input and an output. I came up with the following program and tried it out. The 1st variable is the placing of the print on the paper, I will create a square print so I can rotate the paper 90 degrees and so place it in 4 different positions. The 2nd variable is color. 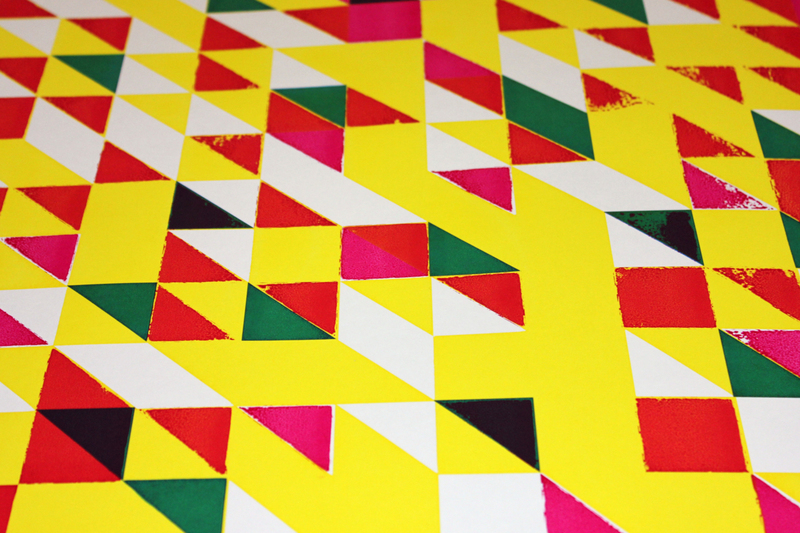 Though I will work with only 3 colors: cyan, magenta and yellow. Layering the colors result in 4 more colors: purple, green, red and black. Including white there will be a total of 8 colors available. The 3rd variable is composition. 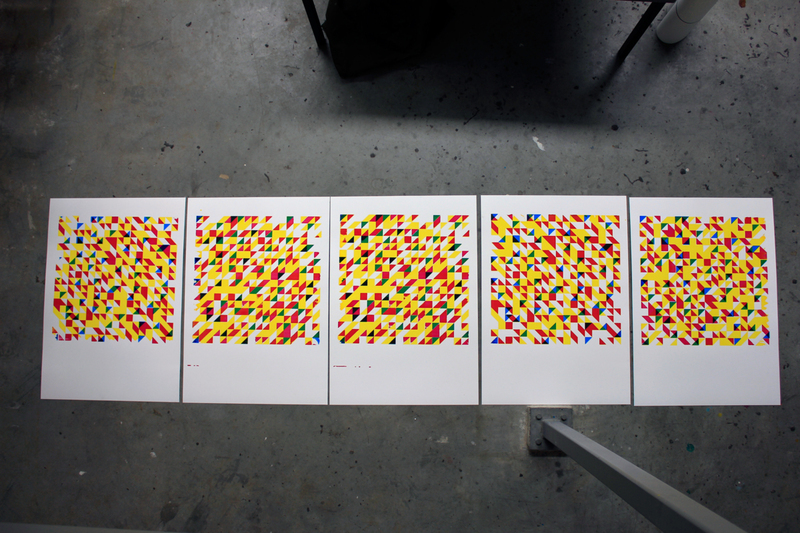 Since I will work with 3 colors there will be 3 print runs. 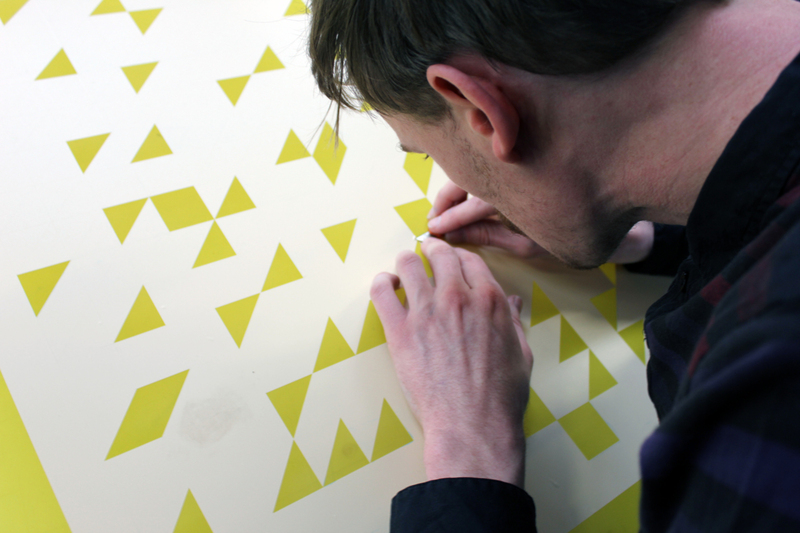 The composition is made with a sticker attached on the silkscreen, a square with a grid of triangles is cut out by a plotter. 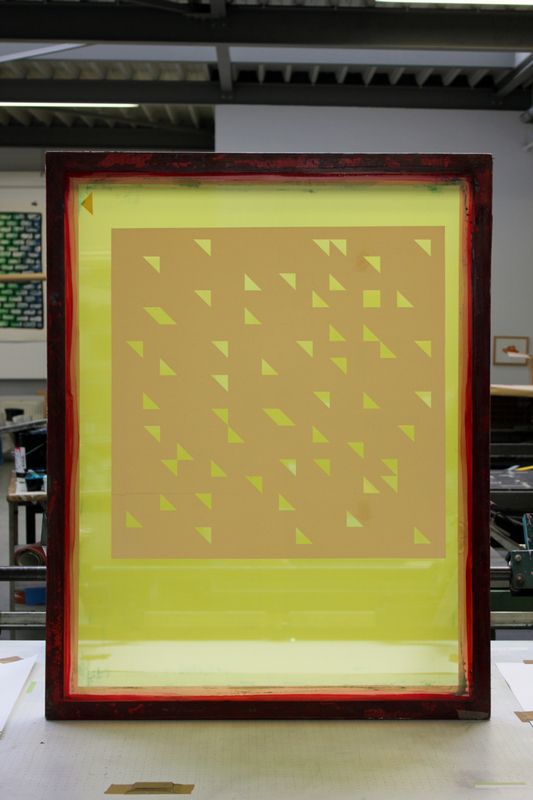 Before the first layer I evenly remove some of the triangles, exposing the silk and allowing the ink to reach the paper. Before the second layer I remove more triangles and again so before third. 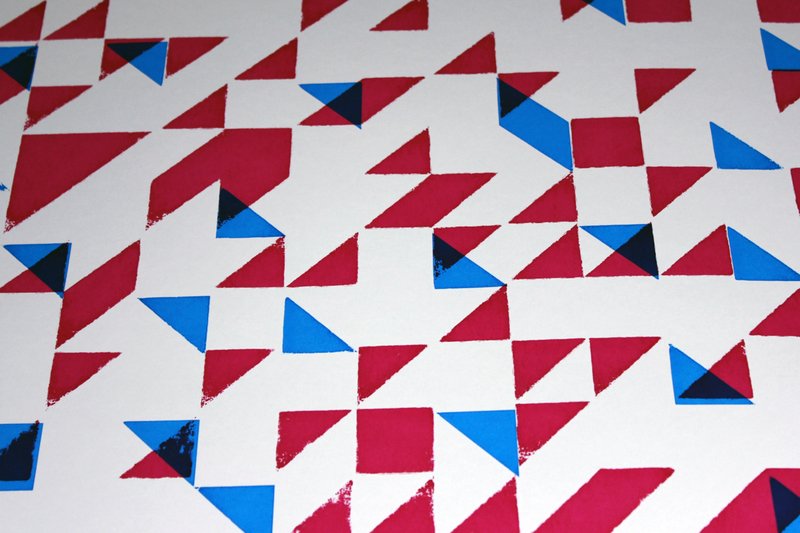 By random but evenly removal of triangles the composition does not create variation within the series of prints but it makes the outcome more unpredictable. I'm happy with the results of this experiment. 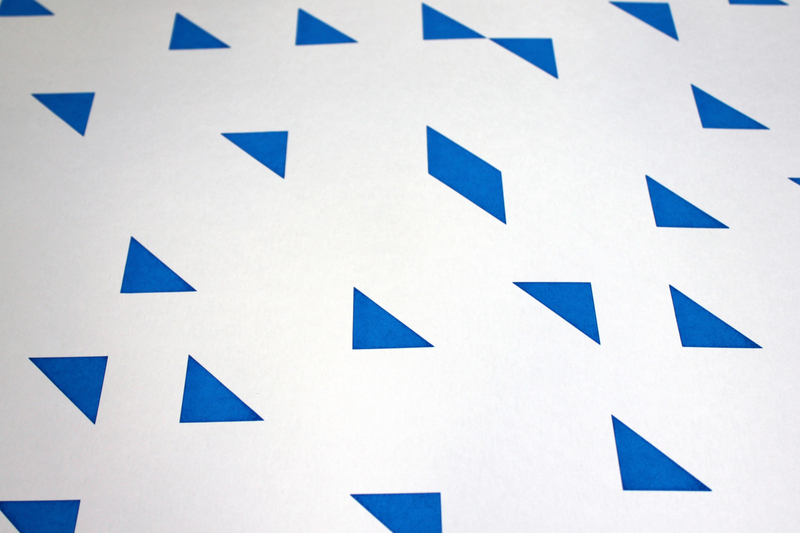 The screen printing was done quick and dirty, the triangles don't match exactly on top of each other and the ink did not reached the paper everywhere. It gives some roughness to the print which I like, but I also realize that I will need to develop my screen print skills a bit.